$86,000 as shown (including I & D). This deck requires a minimum 20′ x 40′ space. It’s a massive deck ready to make a massive impact! This particular client needed display walls upstairs for photos and the giant custom header, so we made it happen! These do not come with the standard pricing, however, but serves as an example of the customizations that can be done. 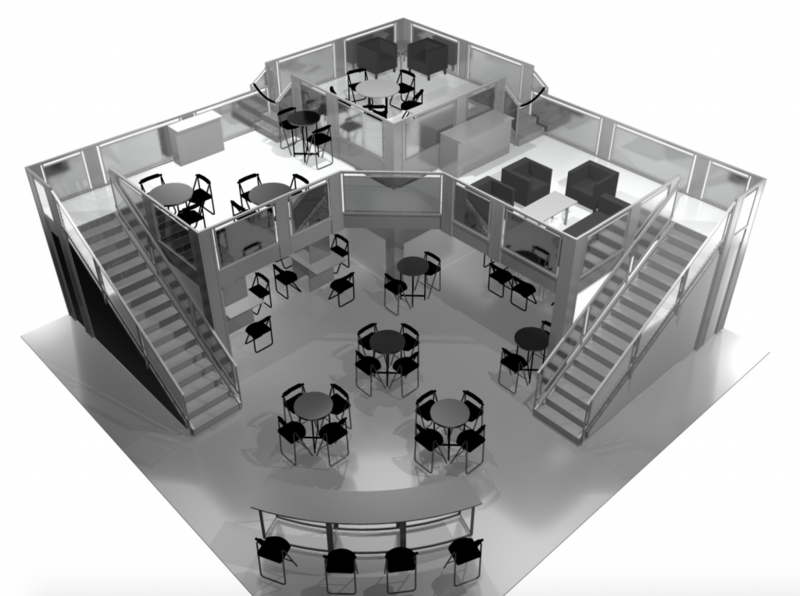 You’ve been doing trade shows for awhile and know that unexpected issues have a way of popping up. They get magnified with a 2-story booth. We have a decade of experience with double decks going back to 2007 when very few in the industry were offering them. 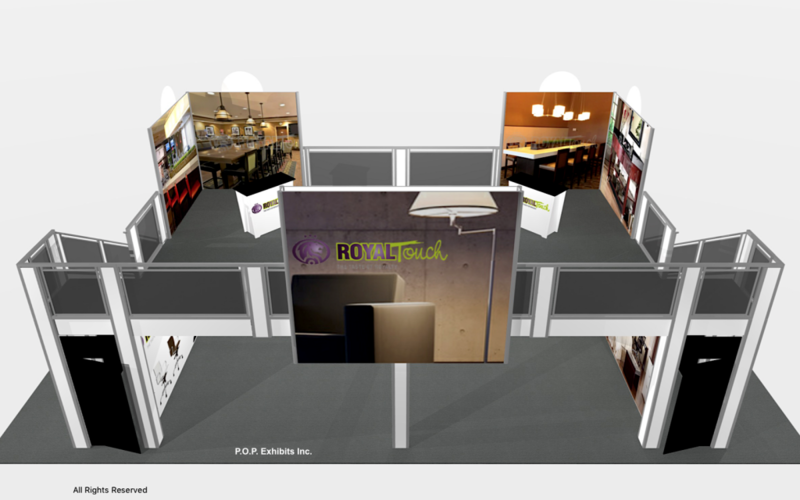 Pricing: Double Deck exhibits used to be priced so high that mid-sized companies couldn’t afford them. 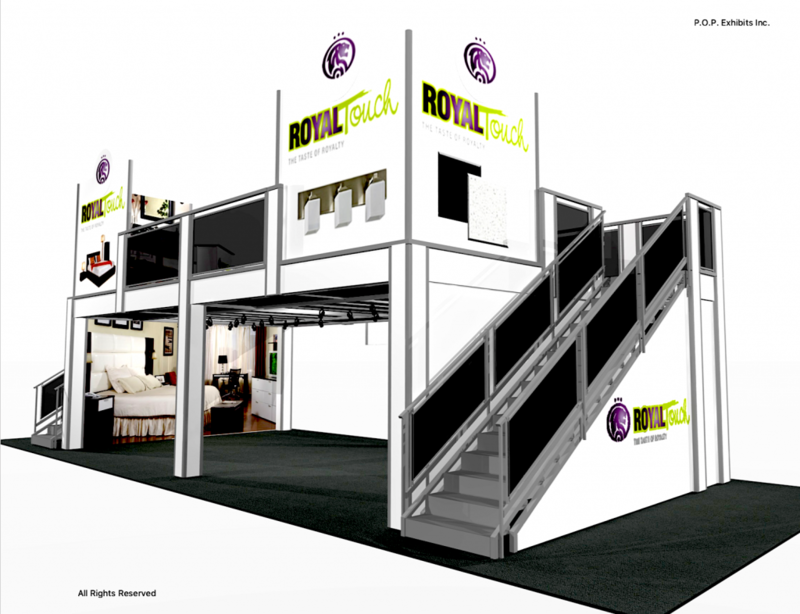 We helped innovate a lower cost design which helped make Double Deck Exhibits more accessible to mid-sized companies. We combine great pricing with experience and first class service to make your experience a great one. Our work begins long before the actual set up begins. You’ll be free to do other things while we worry about Fire Marshal approval and submit stamped engineering drawings. We make sure that we’re in compliance with local regulations…. wherever your show may be.